The Belize Coalition to Save Our Natural Heritage has called on the Government of Belize (GOB) to first conduct an Environmental Impact Assessment (EIA) for a proposed multi-beam and seismic line survey for hydrocarbon seepage in Belize’s deep seas outside the Barrier Reef. 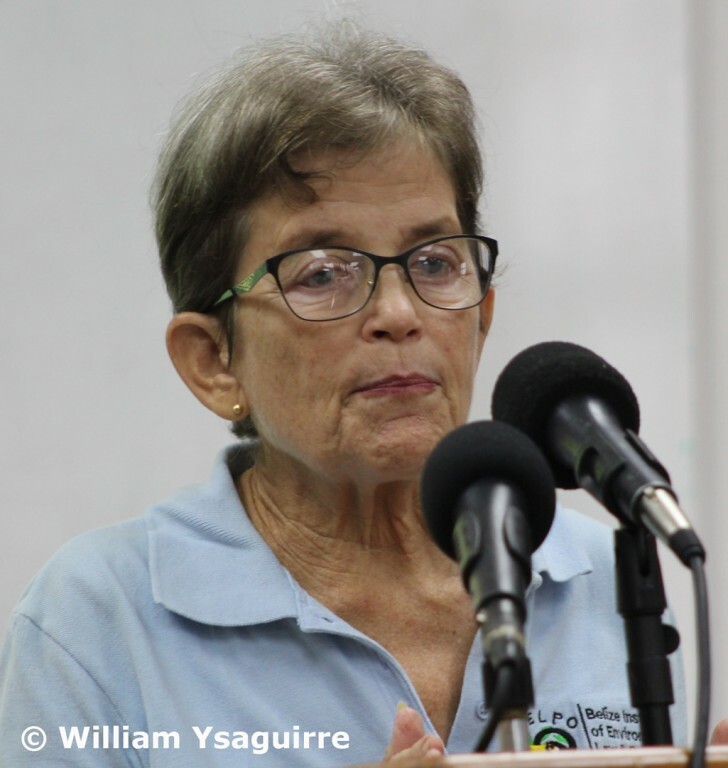 Members of the Coalition voiced their concerns about the proposed survey and the haste with which GOB is commencing the survey at a press conference at BAS headquarters in Belize City on Wednesday morning, October 19. 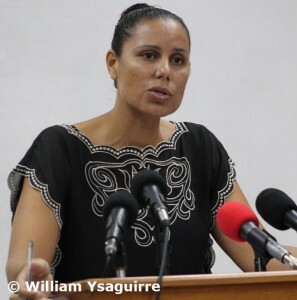 Oceana Belize Vice president Janelle Chanona criticized the haste with which GOB is proceeding to commence the survey; which she sees as the first step towards offshore oil drilling, which would threaten Belize’s tourism and fisheries industries. 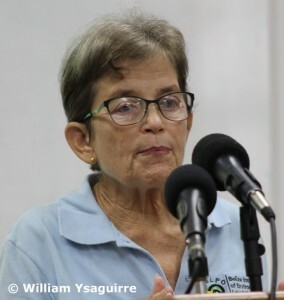 Chanona said the Belizean public should first be made fully aware of the survey, the way how it will be done, the potential impacts on the environment, and the potential, probable uses for the information gathered by the survey. GOB first announced the survey would begin in early October in a release on September 28th, which stated that Belize had been invited to participate in a deep-sea survey being conducted by the governments of the United States and Mexico in the Gulf of Mexico and along the eastern coast of Yucatan peninsula. As GOB explained it, the survey of Belizean seas would just be an extension of the US-Mexico study, and all information gathered would become the sole property of the Government of Belize. Oceana Belize Vice president Janelle Chanona criticized GOB’s haste. Roberto Pott of Healthy Reefs Initiative. GOB has said the study would not cost Belize, but it has not disclosed how SeaBird is to be compensated for conducting the survey. Chanona noted that typically such companies recover their costs by selling the information relating to potential oil deposits to petroleum companies, and others in the business of exploring for oil. The suggestion that this could lead to possible exploration for oil in Belizean waters flies in the face of GOB’s moratorium on oil exploration near Belize’s Barrier Reef and in Belize marine protected areas. Candy Gonzalez of the Belize Institute of Environmental Law and Policy. 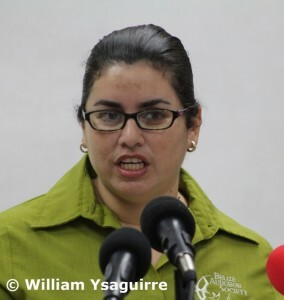 Amanda Acosta – Executive Director of the Belize Audubon Society. Chanona said the Geology and Petroleum Department had invited representatives of Oceana Belize, the Environment and Research Institute (ERI) of the University of Belize, the World Wildlife Fund (WWF) and Healthy Reef Initiative.to a presentation on the multibeam/sea seep survey at the department’s conference room in Belmopan on Thursday, October 6. The Fisheries Department and officials from the Belize Ports Authority were also present to hear the technical information on the survey process, the equipment which would be used, the potential impacts to the marine environment and what mitigation measures would be used to minimize the impacts. She noted that no other organizations involved in marine conservation were present. GOB’s release had specified that the survey would only be conducted in Belize’s Exclusive Economic Zone (EEZ), and would exclude all marine protected areas as well as all areas where petroleum exploration has been banned, such as the Barrier Reef, the atolls and all World Heritage Sites, with a one-kilometre buffer around all these areas. 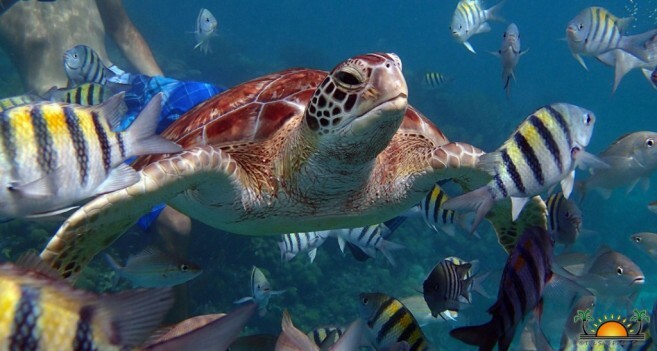 This assurance does not appease Amanda Acosta - Executive Director of the Belize Audubon Society (BAS), who said Belize’s Barrier Reef has already been rated by UNESCO as a World Heritage Site in Danger, because of several human activities on land and at sea, which have damaged the health of the reef. She said this survey would send the wrong signal to UNESCO, for while we pretend to be protecting the Barrier Reef, the seismic survey would indicate we are still interested in the possibility of developing oil deposits which might be found in the area. This raises the specter of a possible Deepwater Horizon disaster, and would destroy Belize’s World Heritage Site status. Chief Environmental Officer Martin Alegria sought to allay conservationists’ fears in an interview with the media on Tuesday, October 18. He said that seismic studies fall under Schedule 2 of the Environmental Regulations, and while those activities which fall under Schedule 1 must have an EIA, those under Schedule 2 may or may not require an EIA, depending on the methodologies proposed. In the case of the seismic survey, he said the method used would be: (1) non-intrusive, (2) it was far outside any protected areas, and (3) it would institute a few mitigation measures which are internationally acceptable. 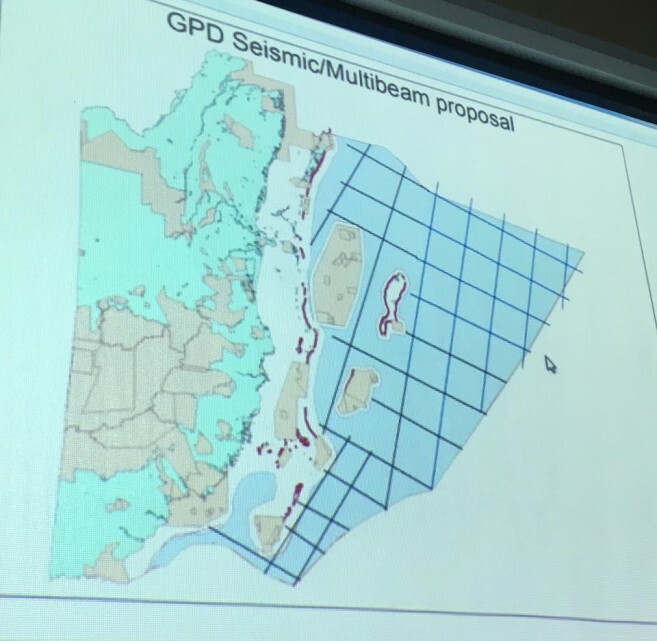 He said the multi-beam study to map out the geological formations of the seabed and seismic survey for hydrocarbon seepage are being done as one. He said the Department of the Environment (DOE) had approved the survey after a review based on the history, procedure and law. Candy Gonzalez of the Belize Institute of Environmental Law and Policy (BELPO) criticized Alegria’s reasoning, saying that as a scientist, he was there to advise the government ministers and leaders on what is the law with regard to the environment and to see that it was enforced. She said he appeared to have confused government policy with the letter of the law, and had reversed his role, taking the side of the politicians rather the science of what is good for the environment. The GOB release explained that the echo sounder to be used in the survey is similar to a fish-finder, and it will map the topography or bottom of the sea floor. The release also claims that it will be non-invasive and have little to no environmental effects. The survey vessels have already begun a soft launch of the survey, and fishermen in the area nearby reported a very loud noise and a vibration that rocked their boat uncomfortably. The GOB release says the multi-beam surveys are used by the US Navy, government administrative agencies such as the National Oceanographic and Atmospheric Association (NOAA), and universities such as the University of Texas, University of Oregon and the National University of Mexico (UNAM). 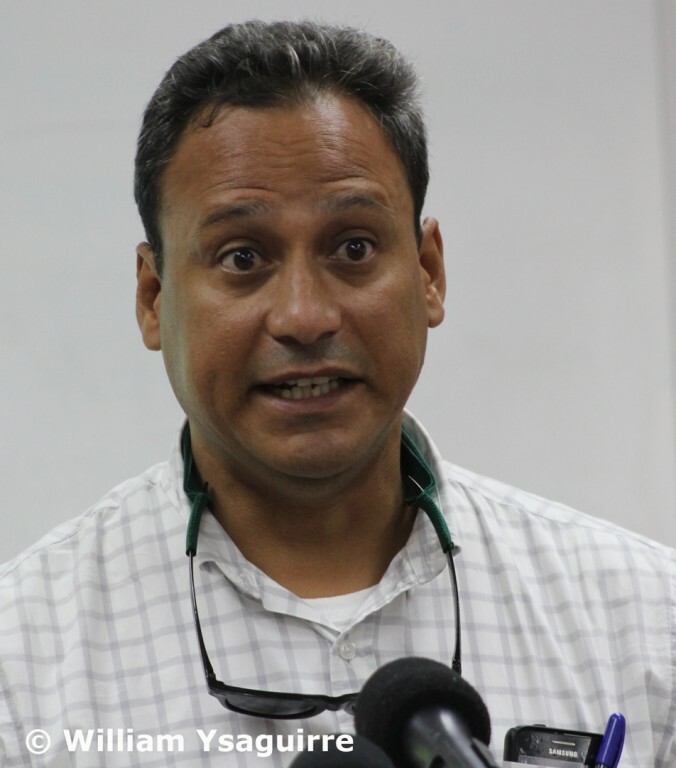 The Department responded to the Coalition’s press conference with another release Wednesday afternoon, October 19 saying that the Toledo Institute for Development and the Environment (TIDE) and Green Reef had also been invited to the Belmopan presentation, but that they had not responded. It also reported that all these organization had been invited to visit on the survey vessel last Friday, October 14, for a demonstration of how the survey would be done, but that none of the conservation groups went aboard the vessel. The Geology Department reports that only the DOE, the Fisheries officers, and Belize Ports Authority officials attended the demonstration.